If you’re running a business and use computers as part of your operations, you’re going to want to invest in a few good quality USB flash drives. These thumb sized mini hard drives are indispensable tools for transporting, storing and transferring data. 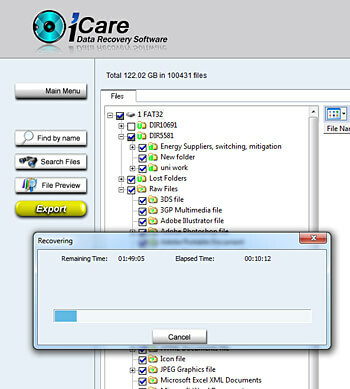 They are handy for consultants, technicians or work associates wanting to easily swap files and documents. 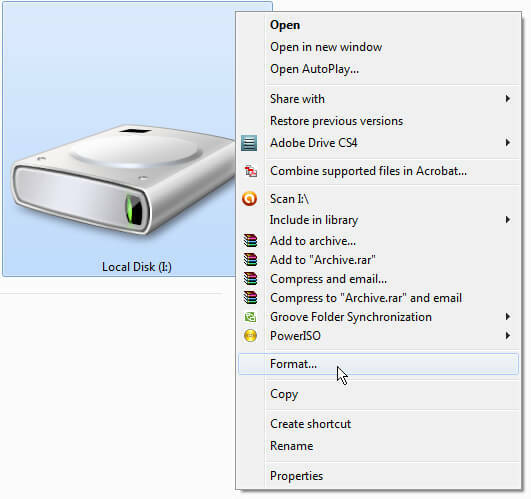 For serious back ups (your entire computer, for example) you should really use one of the larger external USB drives designed for the task. 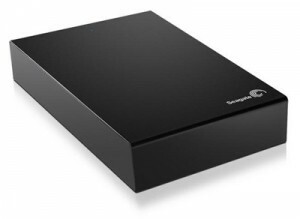 The external drives are usually much larger, like 2TB and will have a plug in power source. 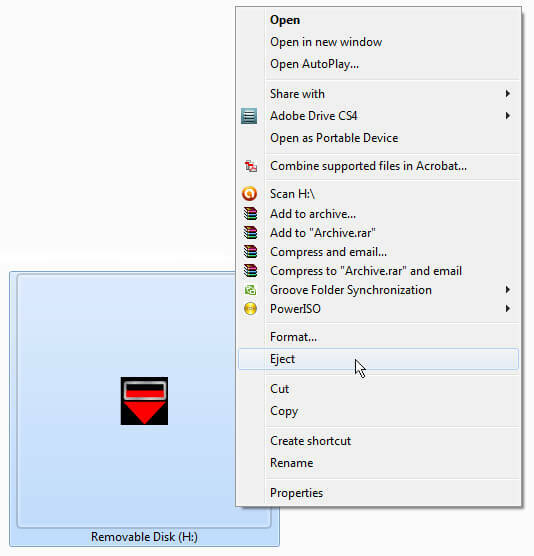 The computer detects the external drive in the same way it detects one of the smaller thumb drives. If you’re going to buy a flash drive, get one that is at least 4GB in size. This is reasonable, given today’s expectations and file sizes. A 4GB drive should be large enough to store a small business website built with WordPress, but if you’re a professional photographer sending hundreds of large, high quality images to a client, you might want to get something with increased capacity. 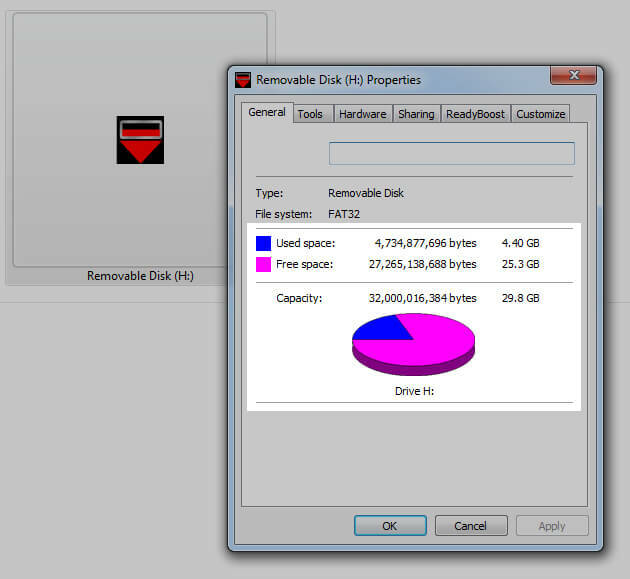 In my collection I have anything from 512MB drives to 120GB drives, but do not bother with anything under 256MB. If you put your mind back to the late 1990’s, when most people were running Windows ’98, the average consumer hard drive was about 6GB, yet nowadays a pocket flash drive of even 10GB is considered small! Amazing! Though many people dispute this, it’s probably best to always remove your USB device safely by right clicking the icon and choosing to remove it. If you’re removing an external USB back up drive, you definitely want to remove safely. 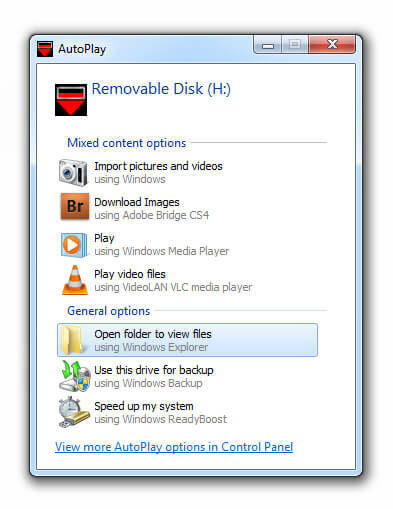 You can never be sure if a program or application is still accessing your drive in the background, so pulling it out before it has deactivated is not a good idea. On my old Windows XP machine around 2008, pulling out a flash drive prematurely led to my USB ports malfunctioning. While we’re on the subject of safety and diligence, you might want to invest in a cheap USB wallet or make one yourself with a pencil case and bubble wrap. Filing System: FAT32 or NTFS? All hard drives have a file allocation table, known as FAT. The file system of your USB stick will most likely be FAT32 by default and for best results you want to reformat the USB stick to NTFS. It is better, more stable and can fit on more data. Here’s a forum discussion on the subject. Last year I was trying to copy 20GB of data to a stick and it kept failing after copying about 4GB. 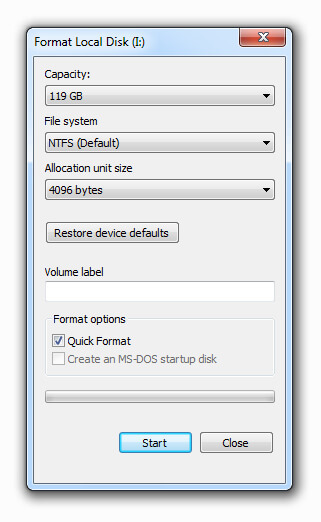 The light bulb moment struck me, so I reformatted the drive as NTFS. 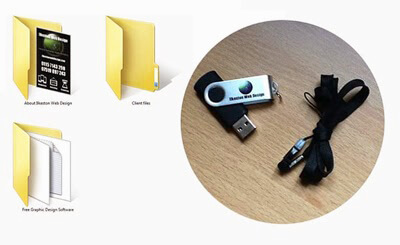 Something you might consider for your business marketing is a bulk order of custom printed USB sticks featuring your logo. Because I provide website design consultation, it is good to be able to provide files, documents and even entire websites on a branded drive. The client is allowed to keep it, and by doing so, they’ll see my logo on a regular basis. If you can provide any kind of utility to your clients you occupy a place in their mind usually off limits to brands and businesses. You could argue the business branded USB stick is an evolution of the classic printed coffee mug. How much you spend depends on what retailer you visit. They’re not terribly expensive to buy. A couple of years ago, during a computer emergency, I needed a USB stick within 1 hour, so dashed to my local Tesco and ran up the escalator to the electronics department. 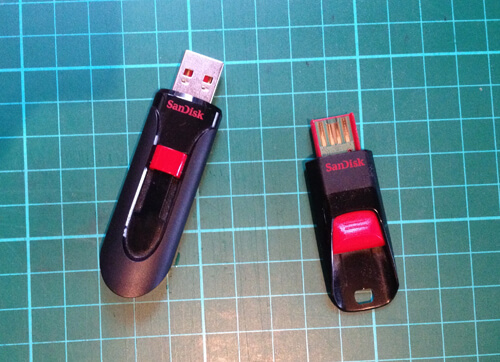 I grabbed a 30GB SanDisk and paid £30 for it. “£1 per GB”, I thought. Not bad. Then I went online and saw the prices were much lower. The internet is wonderful in that it gives us all access to a larger market place. Buyers and sellers are easily connected with one another and millions of transactions are made daily. A problem that is not discussed enough is the issue surrounding counterfeit goods. 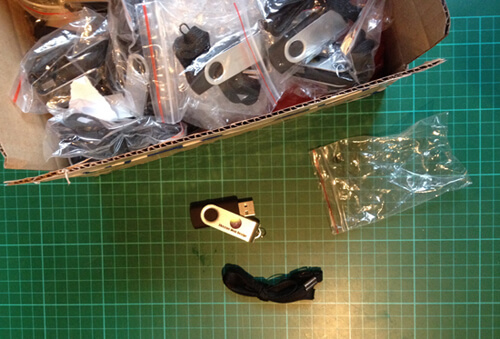 Traditionally, we think of batteries and razorblades as knock offs, but it certainly includes USB sticks. Fake products are unreliable and damaging to your computer, so be careful when shopping online and be sure to vet the seller you’re going to do business with. Look at their feedback score/rating and exercise common sense. Check out retailers like eBay and Amazon (affiliate link) for good quality USB sticks. 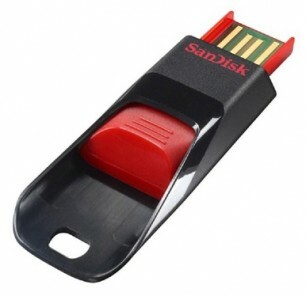 Avoid SanDisk, since the drives come pre-installed with proprietary software that locks down the entire USB drive after it has been written to a certain number of times. This is a disgusting way to squeeze customers. It’s the same old ring fencing consumer prohibitive behaviour typical of certain corporations. My 120GB is currently useless and there’s no way of resetting the filing system. The other night I realised I had accidentally wiped some valuable data from my 30GB stick! This had some important passwords on it. 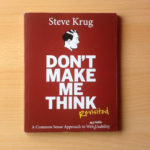 I could have kicked myself for this mistake, but I decided to hunt online for a solution and I found some forum discussions on the subject. To cut a long forum discussion short, somebody linked to this page on site about computer problems and fixes: Best Freeware for Lost Data Recovery Step by Step Guide. I was kind of nervous about installing an unverified .exe program without a digital certificate on my computer, but being desperate, took the plunge and followed the tutorial on the page I linked to. It took about 25 minutes to recover all my data, and I had to pay to actually get it back! I paid £56.34 for a license and amazingly it worked. It’s the first time I’ve ever purchased a software tool online without being 100% sure. It was a gamble that paid off. I managed to recover and download all my previously deleted data to a folder on my desktop.